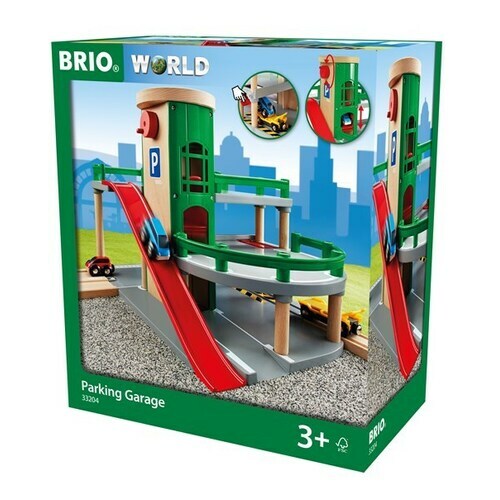 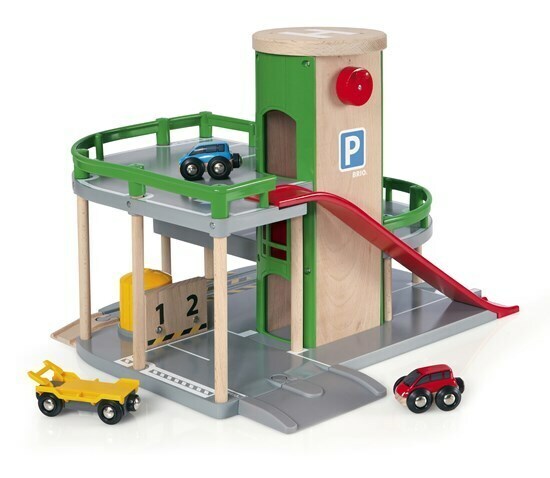 Bring the world of rail and road together in this unique parking garage with multiple levels of fun! 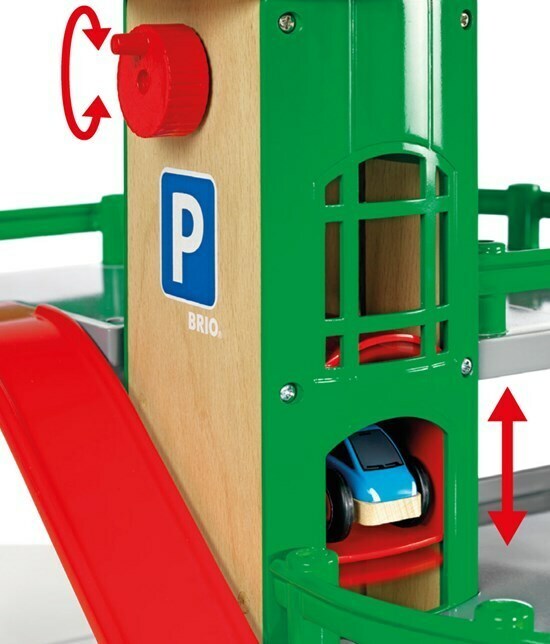 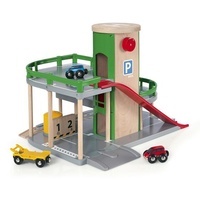 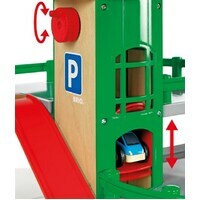 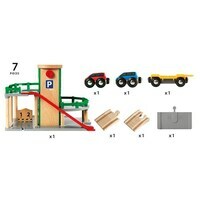 Drive to the top and park, take the chute down, fuel up on level 1 or place the car on the ramp on level 2, press the button and see how the car falls into place on the car transporter wagon below on the railway track. 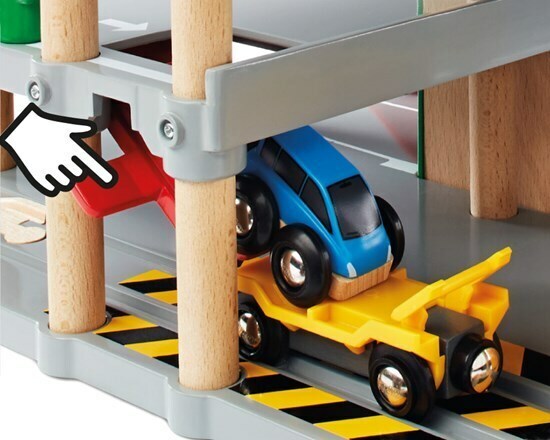 Connects to rail and road for easy expansion. 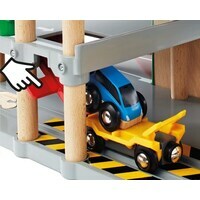 Help other Wooden It Be Great Toy Store users shop smarter by writing reviews for products you have purchased.